Hogarth’s Pest Control specializes in Pharaoh Ants removal. 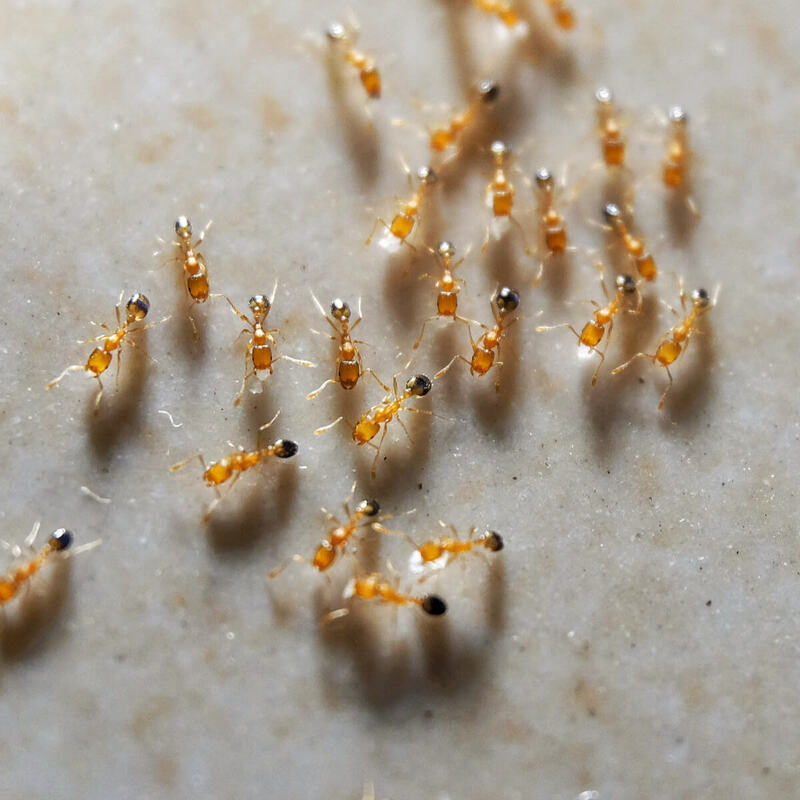 Pharaoh Ants are tiny ants that are yellow to orange in color and around 1/16th of an inch long. You can find these ants in most urban centers throughout the U.S.— they nest in wail voids, cracks in wood, stacks of paper, bed liners, and desk drawers. They are notorious for being a major indoor nuisance pest! Pharaoh Ants get their name from the belief that they were one of the plagues of Egypt during the time of Pharaohs; however, this was deemed false. This species of ants has multiple queens and increase by dividing the colony amongst the different queens. Throughout her lifetime, a queen Pharaoh Ant can produce approximately 400 eggs, which she usually lays in batches of 10 to 12 at a time. Unlike Carpenter Ants, Pharaoh Ants do not swarm. They typically feed on sugars, meats, greasy food items, and even other insects! In addition, they prefer to nest in kitchens, paper storage containers, office equipment, medical storage facilities, and laboratory benches.